Home / 2D animation / anime / Australia and NZ / CP / news / Studio Ghibli / Australia Gets Gorgeous Studio Ghibli Limited Editions This December. 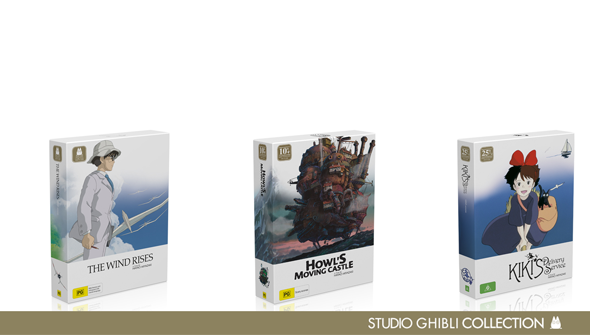 Australia Gets Gorgeous Studio Ghibli Limited Editions This December. There's probably never been a better time to be a Studio Ghibli fan in the English-speaking world than right now. What you get in what order depends on where you live, but the UK and Ireland and North America have both seen a slew of recent releases of their films old and new on beautiful Blu-ray. Our friends down-under haven't been left out either, as December sees some major Ghibli releases in Australia and New Zealand- including some juicy exclusives. 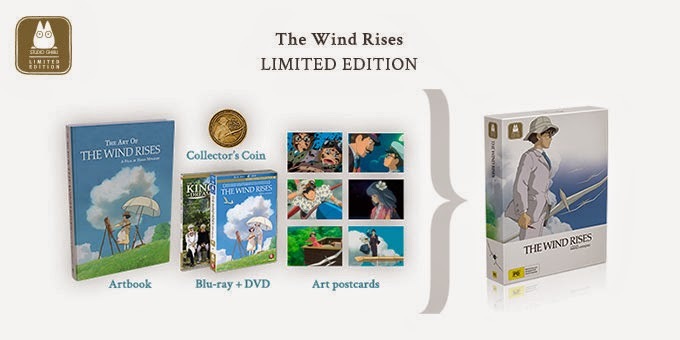 The Wind Rises Collector's Edition contains the Blu-Ray/DVD, Art-book, Art cards, the documentary feature the Kingdom Of Dreams and Madness on DVD and a collector's coin. 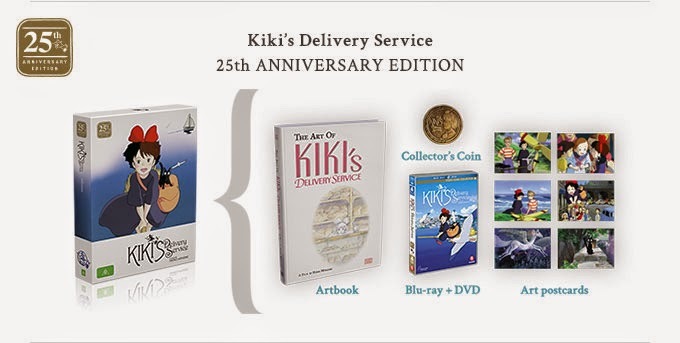 Kiki's Delivery Service 25th Anniversary Edition contains the Blu-Ray/DVD, Art-book, and Art cards, and a collector's coin. Howl's Moving Castle 10th Anniversary edition contains the Blu-Ray/DVD, Art-book, and Art cards, a Heen figurine and a collector's coin. These are the nicest Ghibli editions we've seen so far, and any Aussie or Kiwi fans will want to get their hands on them- but hurry as they're strictly limited and will likely sell out fast. The best price online is currently JB Hi-Fi, but the sets are currently retailing for between $94 and $122 (Australian).